Donations: $40 for each bonus chapter. Released ASAP after regular chapters. If interested then donate here. 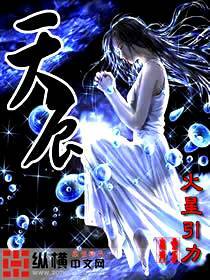 A mysterious teenager who had lost his past, awakened in Tian Long Continent. Mistaken as the Ye family’s Son, he used this identity to observe this chaotic world and to search for his past self, but only to find an inevitable and terrible fate, therefore he indignantly laughed at his destiny, and revealed his prowess to rule the lands under the heavens. Since then, the air and the clouds moved with his hands, and even thunderstorms were subject to his palms! He, as the fairytale’s main character, had shocked the people of Tian Long Continent with his legendary prowess and intelligence, but the extent of his powers were still unknown. Holyshit this is actually pretty good imo!! Keep up the good work! Thanks for picking this novel up! Thanks this is really great! GREAT! \>O</ Hope that the translations are faster..been wanting to read it so much…Anticipation max! my guess is that est is caught up with real life or he is dead, because I haven’t seen in update in almost two months. when the schedule was supposed to be at least two chapters a week. also I have been wondering if they were going to but this in purgatory so other people can pick this up. Hm Synopsis is a little rusty. If you get a handle on an editor you should fix it up a bit. Thanks for all the chapters!!! I would love to see more chapters of HS. PLEASE DO THE TRANSLATIONS!!!!!!!! WE ALL ARE WAITING FOR THIS!!!!!! PUT THIS IN WUXIAWORLD. If this is dropped, I would like to take it over, reply me please as soon as possible.